A later variation on the great helm, this Sugar Loaf Steel Helmet has a rounded shape that comes to a central ridge at the top. A cross plate accents the front. 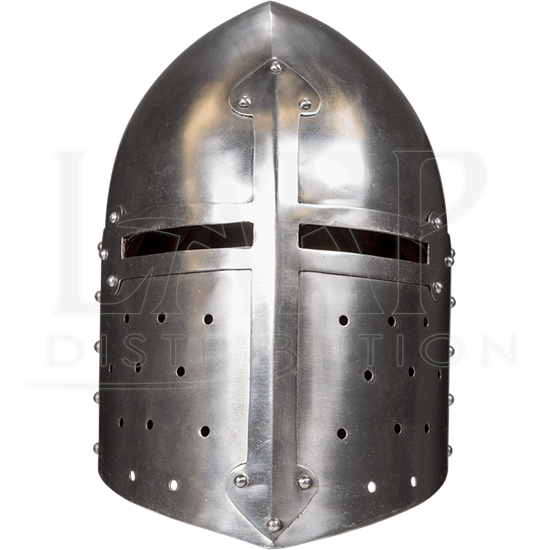 This medieval helm is made of 18 gauge steel with a polished finish. The pointed cross divides the face, and the narrow, rectangular eye slits are cut out from its horizontal arms. Ventilation cut-outs dot the lower half of this medieval Crusader helmet. An padded, adjustable inner lining made of cotton canvas adds comfort to its wear, and a buckled leather strap secures it under the chin. 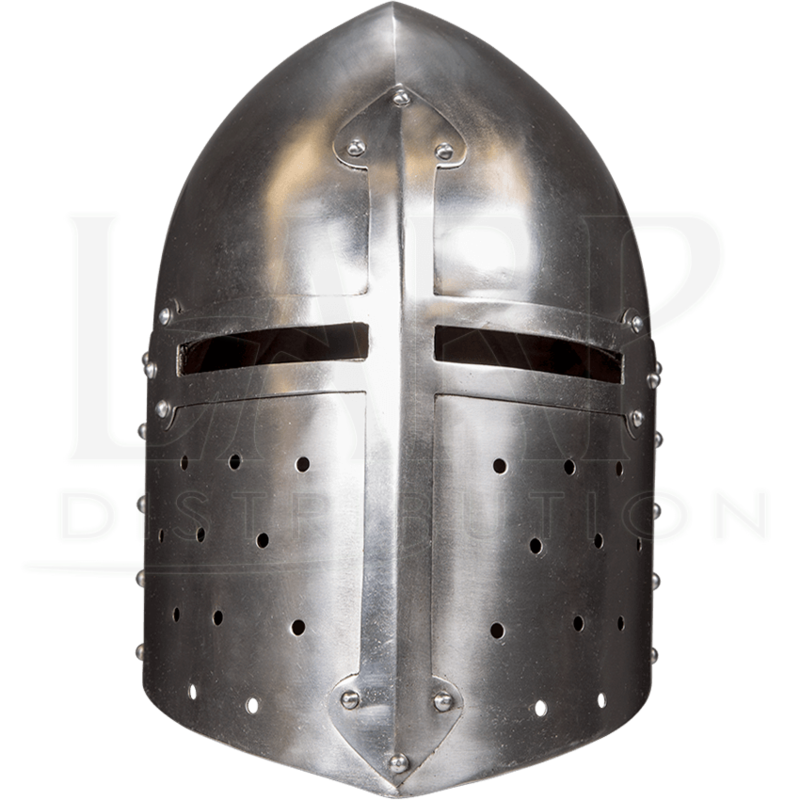 For your next knightly adventure during LARP or light reenactment, choose this sugarloaf greathelm for your face protection.